"The thing that really gets me is his eyes. Even when he was at his worst, there was a brightness and hopefulness about them." 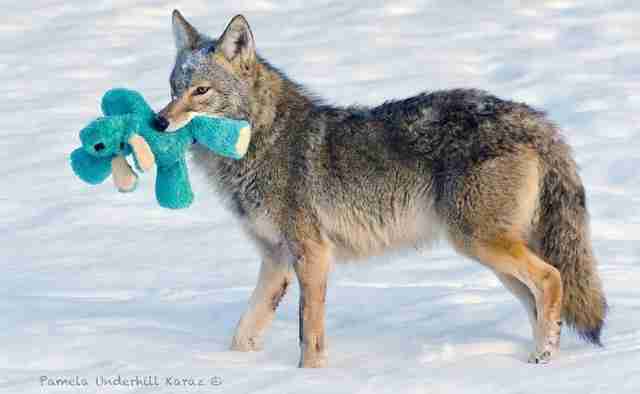 Even when they desperately need help, coyotes are famously hard to catch. In the case of one such animal spotted at golf course in Ottawa, Canada, that talent for avoiding humans was nearly fatal. 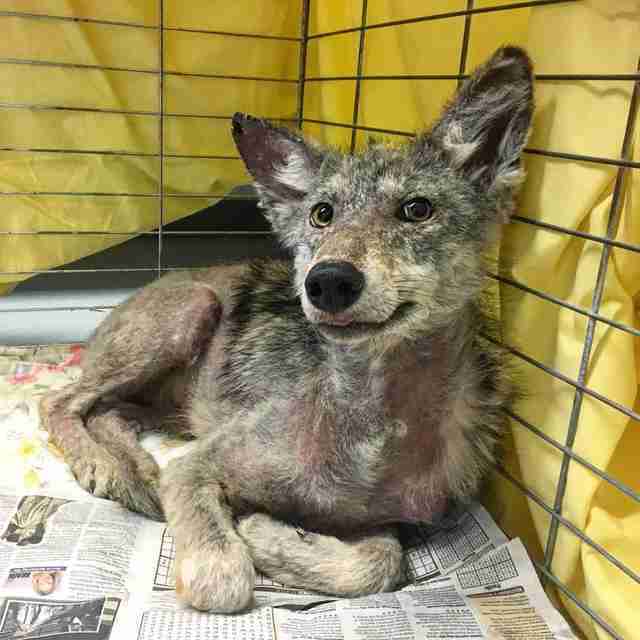 The coyote had not only been hit by a car, but he was also suffering from a severe case of sarcoptic mange - an often fatal skin parasite. Despite his condition, the coyote managed to elude traps set for him by the Rideau Valley Wildlife Sanctuary. Then, after nearly three days of ghosting his would-be rescuers, he was finally caught on November 21. "He was in really rough shape when he first came to us," Sarah Beauregard, animal care coordinator at the sanctuary, tells The Dodo. "We didn't think he would make it through the first night." His pelvis was broken. His skin condition had left him with hardly any coat to protect him from the Canadian winter. But if there was one hint that this coyote had found the right people, it was written on his face. "The thing that really gets me is his eyes," Beauregard says. "Even when he was at his worst, there was a brightness and hopefulness about them." And sure enough, over the days that followed - while the animal was being treated for mange and those brutally broken bones - more of his irrepressible personality emerged. "He is a sweetheart," Beauregard says. 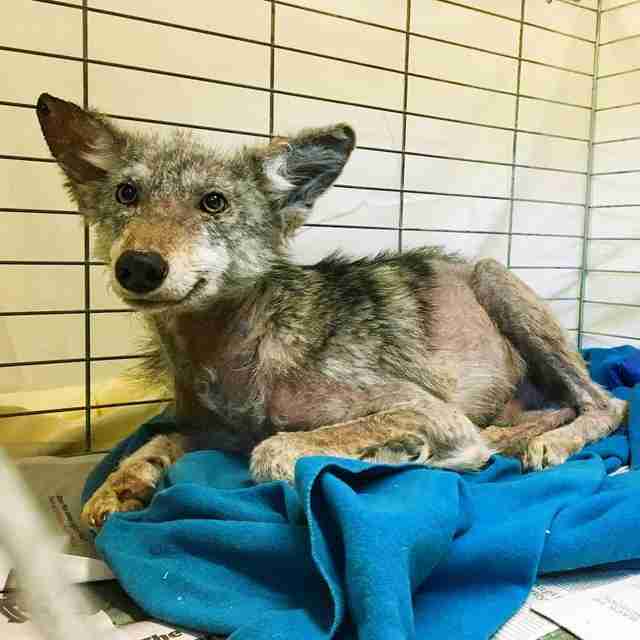 "Coyotes are shy and timid by nature, but he seems to trust us and know that we are trying to help him. " 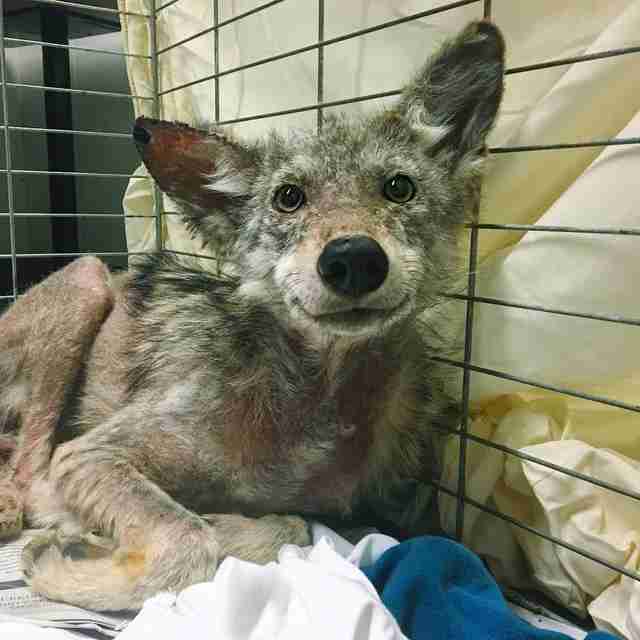 The plan is to keep the coyote at the refuge until he's strong and healthy enough to be returned to a safe area in the wild. Until then, his caretakers are doing everything they can to avoid being drawn in by that magnetic smile. "We are keeping human contact to an absolute minimum so that he does not grow attached to humans," Beauregard says. Try saying that to this face. 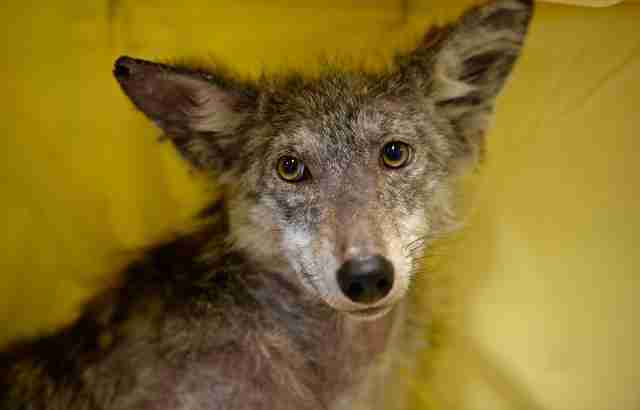 Still, since the coyote will be in their care for a while, staff are looking to give him a name. Maybe you can help. They're looking for suggestions on their Facebook page. Not every coyote gets a name. Fewer still get the care and affection that's been heaped on this patient. 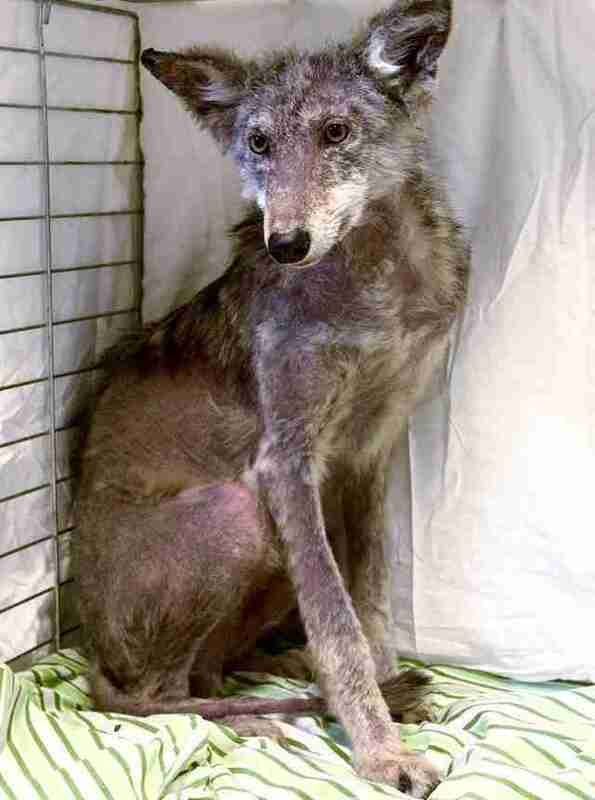 As hard as it is to believe, many of these uniquely expressive and enigmatic animals are brutally trapped and killed for little more than the fur trim of a winter jacket. Companies like Canada Goose are making millions literally on the backs of coyotes. You can help save them simply by not supporting companies that use real fur. For more ways to fight the fur trade, click here. And if you would like to support the Rideau Valley Wildlife Sanctuary in its mission to save countless animals like this coyote, consider making a donation here. All contributions from now until the end of the month will be matched.